Selfies have proven to be a boon for more than social media, family sharing and dating apps. Cosmetic medicine is being buoyed by the selfie effect as people seek to change their appearance after feeling uncomfortable seeing photographs posted on social media. Selfies have proven to be a boon for more than social media, family sharing and dating apps. Cosmetic medicine is being buoyed by the selfie effect as people seek to change their appearance after feeling uncomfortable seeing photographs posted on social media. The phenomenon already has spurred the invention of products optimized for self-portraits: sticks that attach to cameras to capture scenic backgrounds with up-close faces, smartphone cameras whose lenses let subjects of selfies see themselves onscreen and the inevitable next technological invention to connect us in a new, mind-blowing way. But selfies also are fueling an increase in procedures, and not just plastic surgeons have benefited. Dermatologists and doctors in other specialties addressing the aesthetic desires of patients routinely have cellphones presented as evidence of what corrective cure is needed. The trend is far from a flash in the pan. 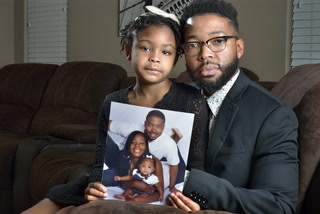 Earlier this year, the American Academy of Facial Plastic and Reconstructive Surgery conducted a poll, and one in three of the group’s members reported an increase in requests for procedures because of patient concerns about how they looked on social media. 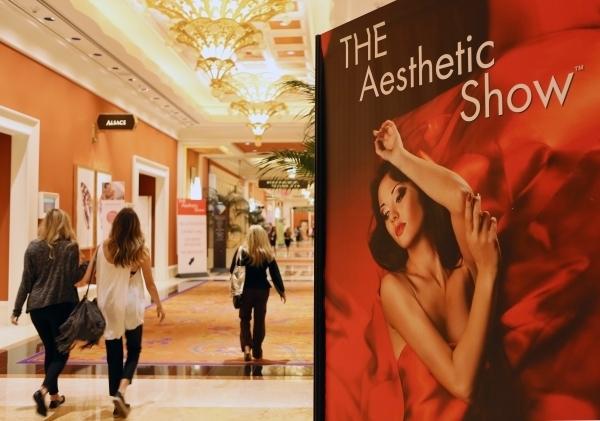 Health care providers gathered this month at Wynn Las Vegas for THE Aesthetic Show, a convention dedicated to correcting scars, skin laxity, wrinkles, moles, liver spots, excess fat, cellulite, unwanted hair, skin discoloration, spider veins and essentially all things related to minimizing the signs of aging. 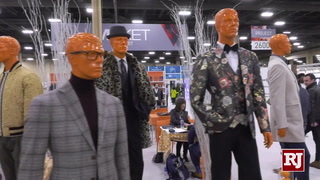 Three Southern Nevada doctors led a session at the show about how to achieve optimal results for facial shaping, wrinkle reduction and facial rejuvenation using dermal fillers and neurotoxins, such as Botox. Dermal fillers or “injectables” plump up fine lines, wrinkles and scarring and augment the lips and cheeks by restoring volume and definition. Drs. Garry Lee and Edward Zimmerman followed Robert Troell, the Las Vegas plastic surgeon and owner of Beauty by Design, who lectured on Bellafil, an injectable wrinkle filler. Among the components of Bellafill is collagen, the proteins in connective tissue that provide strength and flexibility. That collagen offers immediate volume and lift to correct wrinkles, Troell said, and other components of Bellafill remain in place to provide long-term structural support to the skin by stimulating the skin’s collagen-producing ability. 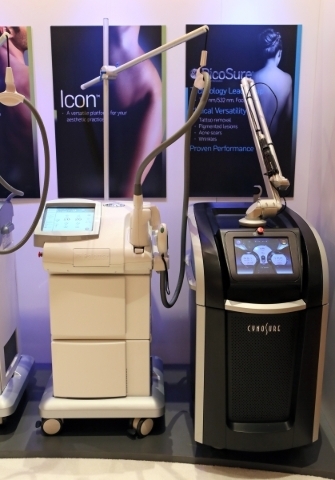 — Cynosure: a Massachusetts manufacturing company that produces medical devices for laser skin resurfacing, cellulite treatment and hair removal. 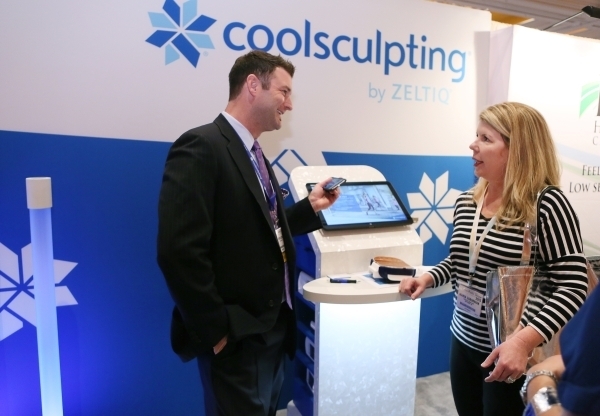 — Zeltiq: a San Francisco Bay Area company that touts its CoolSculpting technology as a way to eliminate fat without surgery. — Visao MD: A Texas company marketing Collagen Recharge, Age Defy Eye and Lip Enhance, among other products tailored to fit a variety of skin conditions. Patients considering a cosmetic procedures often will show physicians their selfies during consultations, and the photos help the patients explain the specific changes they want. That can help the doctor to pinpoint the approach that would work best to attain the desired outcome. After surgery, patients can use selfies to let the doctor know how they are progressing in their recovery. Plastic surgeons can receive selfies via text messages and give patients immediate feedback about how things are going and notify them if they need follow-up. Online consultation tools can help people thinking about cosmetic procedures to make a decision about plastic surgery whether it’s an elective medical procedure or one that is medically necessary. Narcissism, from Narcissus in Greek mythology, is excessive interest in your appearance, leading to self-absorption, conceit or egotism. Narcisus was proud of his beauty, and Nemesis noticed that behavior and attracted Narcissus to a pool. Once Narcissus saw his reflection, he was unable to leave and eventually drowned. Narcissistic personality disorder is one of about a dozen such conditions classified in the Diagnostic and Statistical Manual of Mental Disorders. Personality disorders are patterns of behavior that people don’t change despite the emotional problems and trouble caused in their relationships. Narcissistic personality disorder can cause a grandiose sense of self-importance and a preoccupation with fantasies of unlimited power, brilliance or beauty. However, the disorder also features a sense of inadequacy. People with narcissistic personality disorder can respond to criticism, defeat and rejection with indifference or with rage, shame, humiliation or emptiness. Individuals with narcissistic personality disorder form relationships based on expectations of special favors. They tend to devalue others and can lack empathy. Dr. Michael Edwards of Anson, Edwards and Higgins Plastic Surgery Associates in Las Vegas, just completed a year as president of the American Society for Aesthetic Plastic Surgery, logging 140,000 miles. 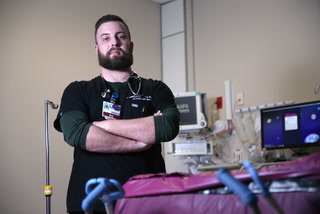 Plastic surgeons also have seen an increase in demand as baby boomers age, Edwards said, but much of the demand in cosmetic medicine is tied to personal finances because many of the procedures are elective. As with any medical procedure, Edwards would advise anyone considering a cosmetic procedure to carefully select the health care professional best qualified for the job. 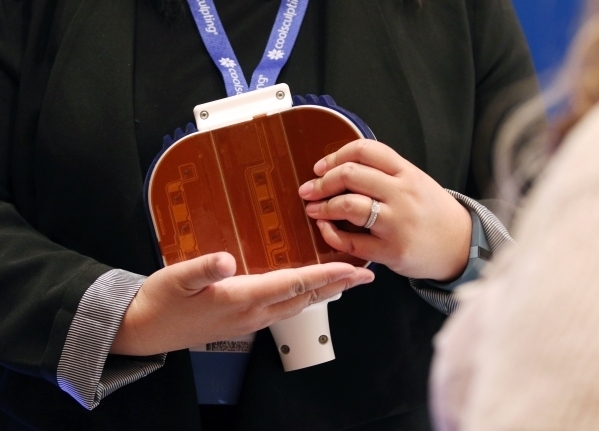 Khorsandi, the Henderson plastic surgeon, said cosmetic medical providers are employing new ways to engage with patients such as TouchMD in Cedar City, Utah. TouchMD says on its website that it tries to maximize communication with patients before, during and after the consultation. The platform allows people to load pictures for self-analysis. Kary Smith, CEO of TouchMD, said the goal is patient-physician education, not self-recrimination. 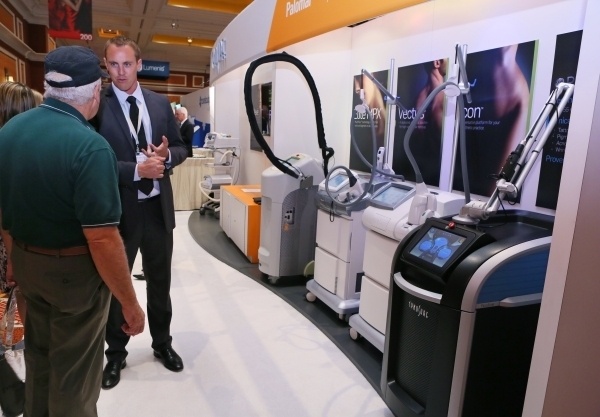 Zimmerman, owner of Las Vegas Laser and Lipo, said cosmetic practices in Southern Nevada continue to grow as part of the medical tourism effort, and he agreed the sector will grow as economic conditions improve.